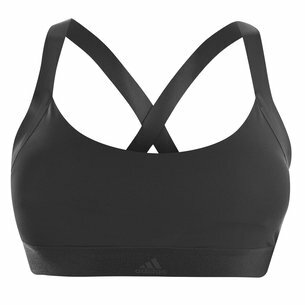 Stay supported when working out in this Under Armour Ladies Mid Keyhole Sports Bra in a Black, Black and Metallic Silver colourway. 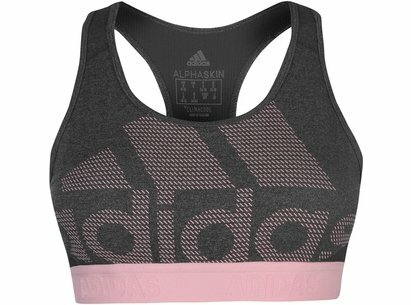 Make your workout gear work as hard as you do in this supportive, comfortable and feminine looking bra. 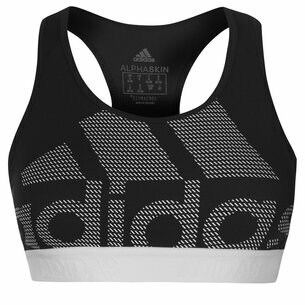 This compression sports bra doubles down on feminine style without losing its effectiveness. 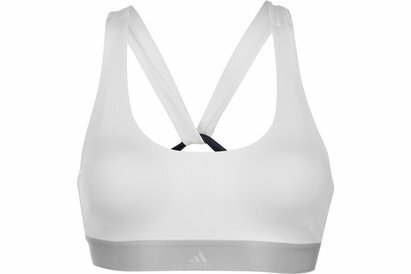 It’s tailored for medium impact activities such as weights, boxing or cycling thanks to strategic support and the updated jacquard elastic band offering a stay-put fit. 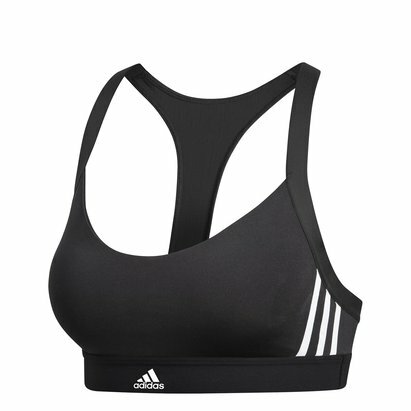 Comfort is provided by the soft HeatGear® fabric which sits against the skin beautifully and the stylish keyhole design which allows ventilation. 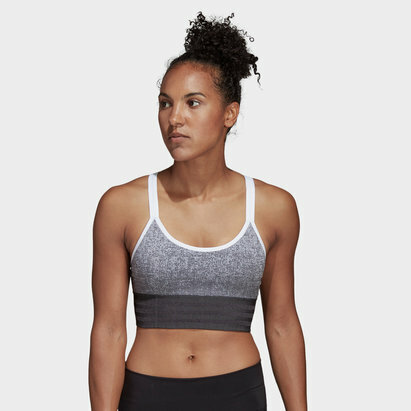 The racerback design allows for greater freedom of movement, the material is excellent at wicking sweat and drying quickly, and the classic pullover style looks great, too.